"the means are more important than the goal." 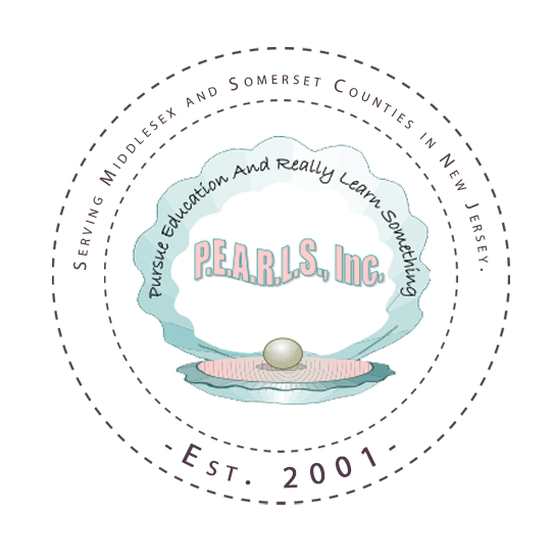 P.E.A.R.L.S., Inc. was founded in May 2001 as the charitable arm of the Nu Xi Omega Chapter of Alpha Kappa Alpha Sorority, Inc. to serve the communities of Middlesex and Somerset counties in New Jersey. Incorporated in May 2003, P.E.A.R.L.S., Inc. is dedicated to high standards, excellence and achievement – ideals that mirror the goals of Alpha Kappa Alpha, the oldest community service sorority established by African American women. P.E.A.R.L.S., Inc. is organized exclusively for educational and charitable purposes and its mission is to exercise, promote, and protect the privileges and interests of the residents of Middlesex and Somerset Counties; to foster a healthy interest in the civic affairs of the community; to develop good citizenship; to help young people receive a higher education; to increase the motivation of youth; to provide scholarships, awards and sustenance grants; to sponsor seminars and programs that are actively engaged in promoting training and educational activities. The activities of P.E.A.R.L.S., Inc. targets education, leadership, the arts and family. Contributions from individuals and organizations make it possible for P.E.A.R.L.S, Inc. to attain various objectives. Proceeds from our fundraising events support scholarships and programs.